Some clouds. Low 59F. Winds SSW at 5 to 10 mph.. Some clouds. Low 59F. Winds SSW at 5 to 10 mph. The list of capital requests in Illinois is long. The list of funding sources? Not so much. 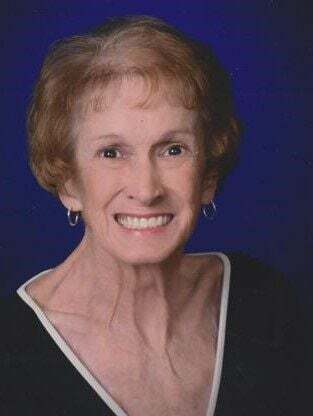 CARBONDALE — Sandra Sue Monahan, 73, passed away Friday, Feb. 8, 2019, at home. She was born Sept. 15, 1945, to Charles and Edna (Choate) Adams in Carbondale. Sandra married Otis W. Monahan on March 19, 1976. Together they shared 36 years of making memories. He preceded her in death Jan. 14, 2012. She graduated from SIU with a degree in cosmetology. She taught cosmetology at John A. Logan and retired after 30 plus years of mentoring students. She loved to fish and after the catch she enjoyed preparing the fish for her family and friends to enjoy. She was a member of Grace United Methodist Church. She attended the Eagles Club. Sandra is survived by her siblings, Tommy Lynn Adams of Carbondale, Donald Adams of Murphysboro, James (Ann) Adams of Denton, Texas, and Patricia (Bob) Richards of Colorado Springs, Colorado; sister-in-law, Donna Adams of Carterville; mother-in-law, Ruth Monahan of Bertrand, Missouri; brother-in-law, Jimmie (Marvalee) Monahan of Thebes; stepson, David Monahan of Carbondale; grandson, Scott (Jonya) Lockart of Marion; great-grandson, Joseph Lockart of Marion; nieces, nephews, other relatives and a host of friends and students. She was preceded in death by her parents; her husband; a brother, William Adams; a sister, Carolyn Shaya and a stepdaughter, Becky Monahan. Services for Sandra Sue Monahan will be at 11:30 a.m. Tuesday, Feb. 12, in Grace United Methodist Church, with the Revs. Jangil Rhee and In-Sook Hwang officiating. Interment will follow in Pleasant Grove Memorial Park. Visitation will be from 10:30 a.m. until the hour of service Tuesday, Feb. 12, at the church. The family would like to extend a special thank you to Helen Russell and Arlene Rinehart for the exceptional care that they provided to Sandra for the past two years as her caregivers. Crain Pleasant Grove-Murdale Funeral Home is in charge of arrangements. To view the obituary or to leave an online condolence for the family, visit www.crainsonline.com.